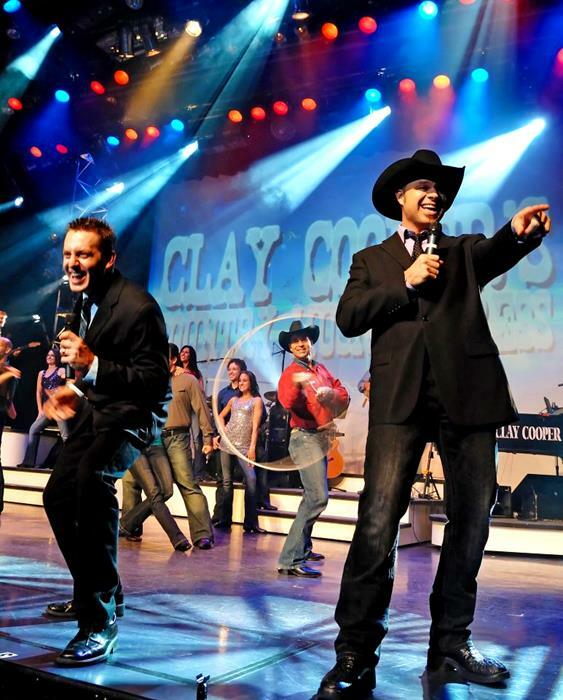 Experience the high energy, action, and music in Clay Cooper’s Country Express show that features the ultimate in music, singing, dancing, and entertainment! "Best show in Branson seen it twice.Very entertaning!!!" 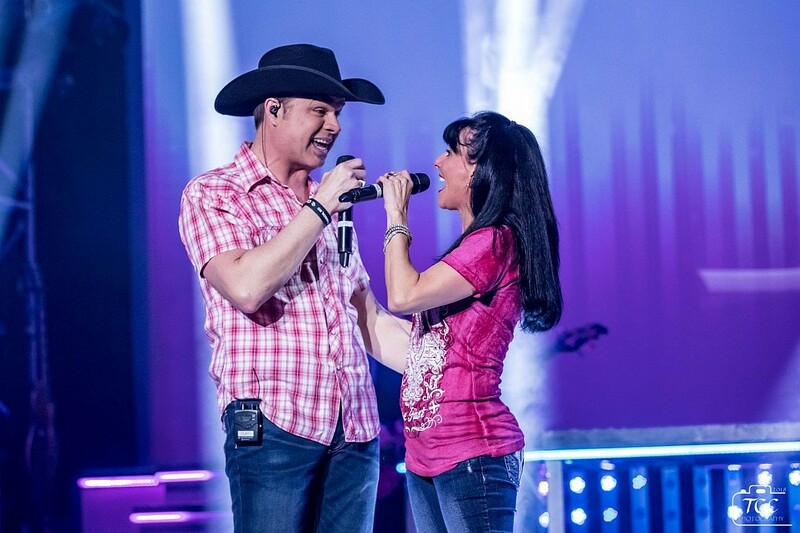 "This is the best show in Branson! Definitely don’t miss this one!" 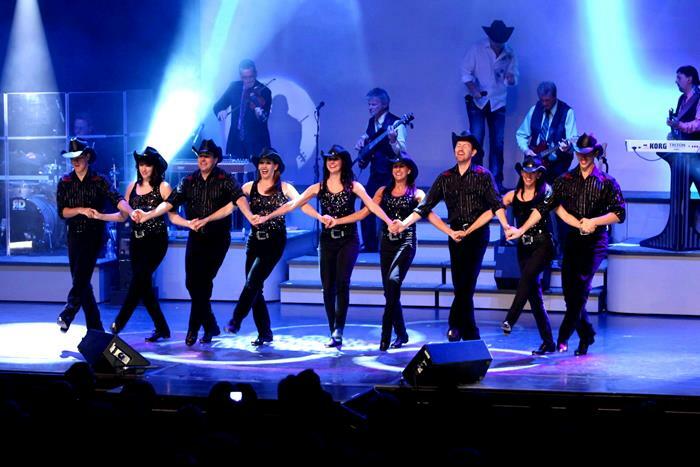 "It is always the BEST show in Branson but last year was AWESOME!" Amazing Music, Dancing, Singing, & Talent! Clay & Tina Cooper Singing! 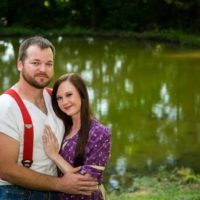 A Country Music Variety Show! Booking tip: Clay Cooper’s Country Express is very popular, advance reservations are recommended! 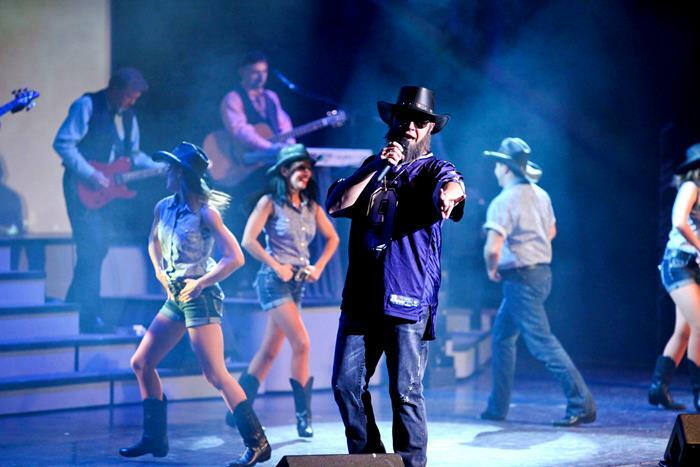 See Clay Cooper’s Country Show LIVE in Branson! 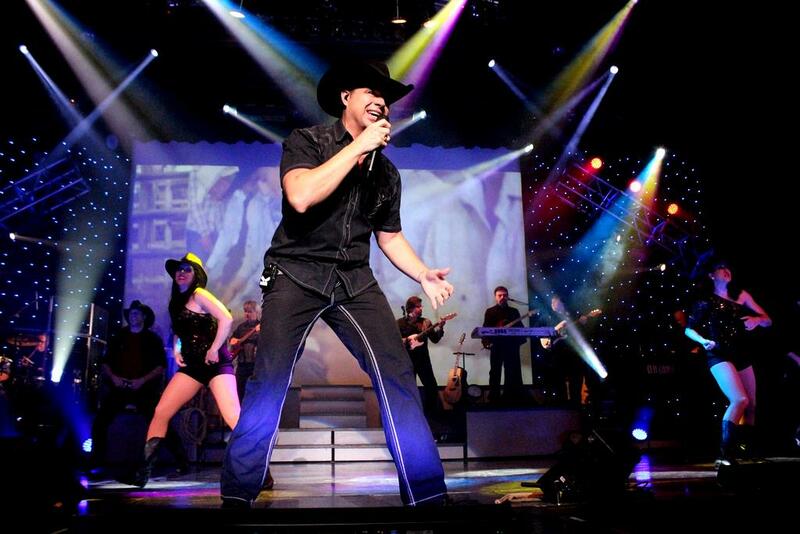 One of the most popular country variety shows in Branson, Missouri – Clay Cooper’s Country Express delivers a high-energy, action-filled, two hours of entertainment that everyone in the family will enjoy! 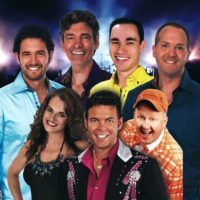 25+ Years of Branson Performances! 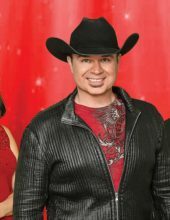 Staying true to his roots, Clay Cooper has been a Branson favorite for more than two decades now. He has performed with some of the biggest productions to come through the area and has been a crowd favorite in every show that he has had the chance to be a part of. Whether he’s making the audience laugh or enthralling viewers with his amazing voice, his talent and extremely likeable personality is unmatched! A Variety Show in Every Sense! There are few productions that offer the variety and diverse talent that takes to the stage with each show. While Clay’s music and singing take the spotlight, he is joined by more than a dozen phenomenally-talented entertainers who help share some of the magic you will witness over the course of the two hours you watch the show. 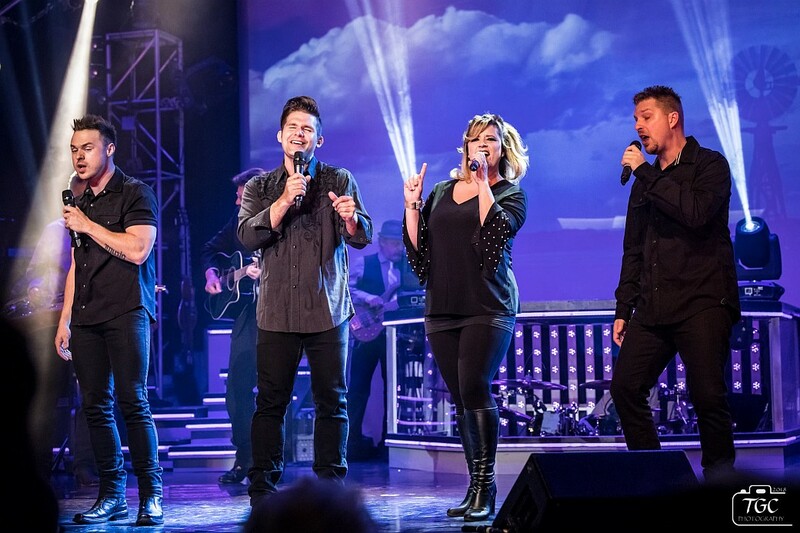 Music fans will find this to be one of the best shows in town as it features samples and highlights from many different styles of music including classic & modern country hits, inspirational gospel songs, and maybe some rock ‘n roll weaved into various segments. 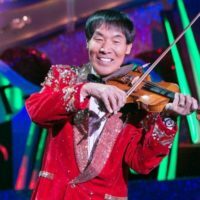 Additionally, his tribute to the Veterans who served our country provides a heartfelt gesture from one of the most endearing performers you have ever seen! A cast of singers and dancers help provide a backdrop throughout the show, highlighting some of the amazing local talent from the area. 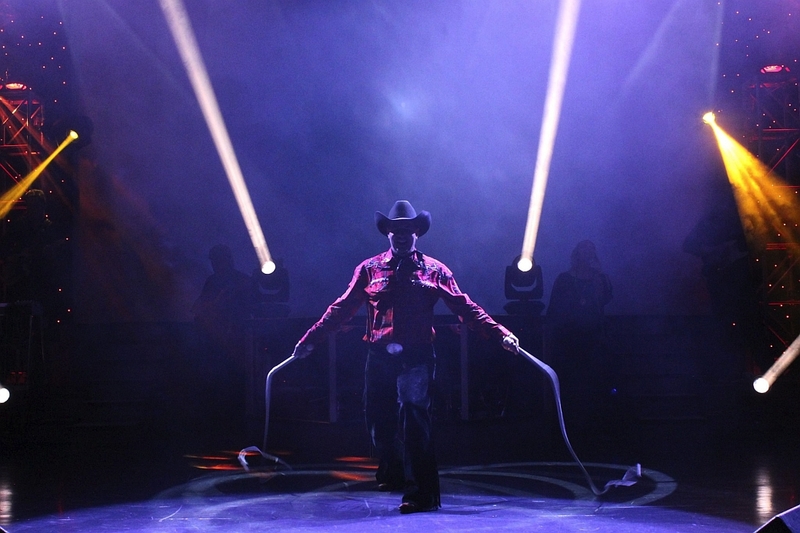 In addition to the singers and dancers, trick rope virtuoso and expert Johnny Lonestar will amaze audiences with his rope tricks while comedian Matt Gumm will have everyone laughing out loud! Whether you’re traveling with friends or family, there is no denying the appeal of this show – a perfect match of many different types of entertainment. A live production that has been refined and tuned to perfection, it’s something that will leave you smiling and with lasting memories long after you’ve returned back home. Find out why people return year after year to watch Clay’s show by making reservations today – you’ll quickly find out why he is one of the most requested and admired shows in town! First time in Branson and our first show was Clay Cooper. We loved this show and hope to come back someday and see him and his group perform again. Absolutely the best. 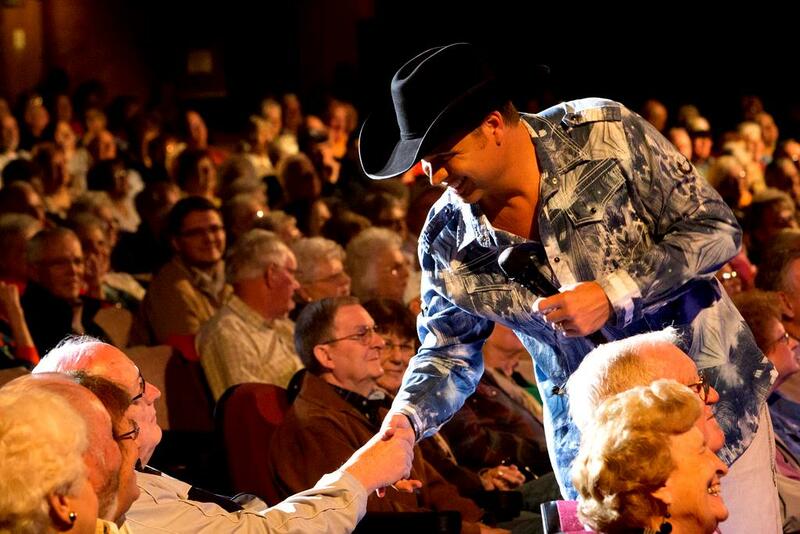 Clay Cooper is a must see when your in Branson. Great Country Music the dancers are awesome. Clay has LOTS of Class with his music. Was just to Branson with a group of seniors, we attended Clay Cooper’s show and two others. Clay’s show was excellent and so well organized getting the people into the theatre, was a great morning on May 16. Clay’s interaction with the audience is awesome! My mother that is almost 80 yrs old went down to Branson on a tour bus trip, most everyone were about her age from Saint Joseph Mo @ Christmas time one year ago. When their bus pulled up Clay came out to the tour bus and Welcomed them all and held his hand out to help many of them off the bus. They all loved his family based show. And after the show when they were all loading back on the bus Clay came out and told them good bye. Thank you Clay for making my Mother’s day! I was totally impressed with Clay Cooper and his show! Top notch! A must see! I was there with my Singing Saints choir on March 9 in the evening and it is the best show. He gets the audience involved and he is so funny. Don’t miss it if you are in Branson, MO! All the dancers were great, and Matt Gumm was outstanding. Also the little 11 year old girl was just wonderful! Many others as well. Remember to see “Clay Cooper’s Country Music Show!” Hope to go back real soon. Clay Cooper show is the best in Branson, We have been going to Branson for 20 years, and have seen just about all shows there. Also his theatre is in the best location, easy parking and great access. We go to Branson about 3 to 4 times a year, always see shows at Clay Cooper Theater. This year we have got tickets for 3 of Mel Tillis in Sept, plus we will see another show or 2, love the show and location. 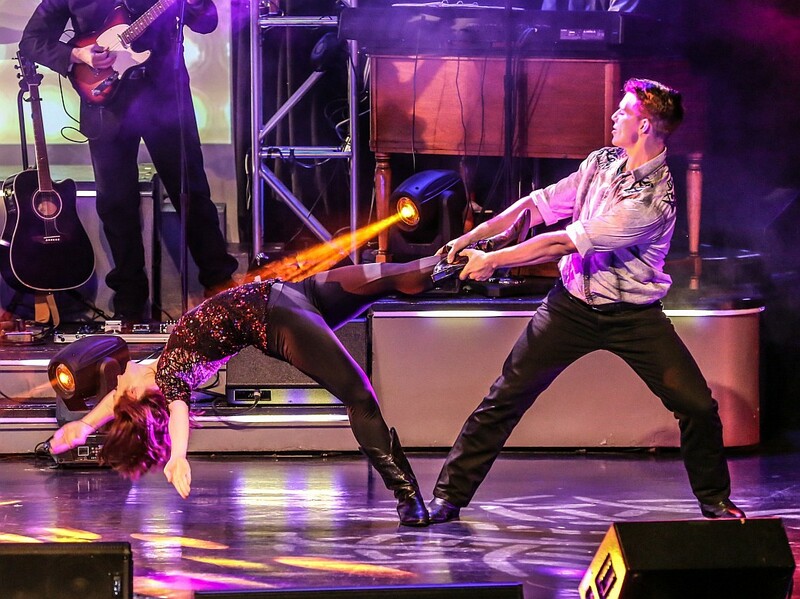 This is the best show in Branson! Definitely don’t miss this one! Can definitely understand all of the glowing reviews about Clay’s show and personality, it is definitely a great music show with a little something for everyone! We were surprised with the size of Clay Cooper’s production, it seemed like there were dozens of singers, dancers, and performers in the show! 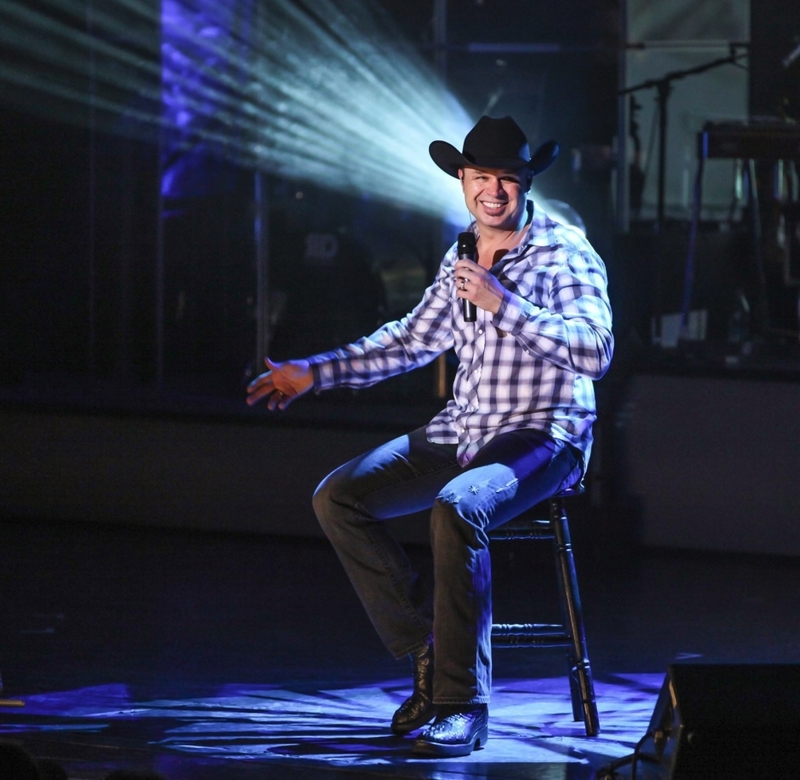 We highly recommend that you don’t miss seeing the Clay Cooper Show when you’re in Branson. We have seen it many times and always enjoy the music as well as the comedy. We were at Clay Cooper show 11-16-2016. The show was great. 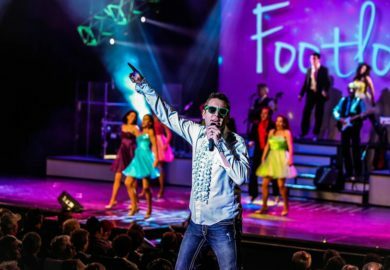 One of the best shows in Branson. People need to see this show. Have been coming to Branson EVERY year for the past 38 years. Clay Cooper is always our first stop no matter where he is performing. We have been a fan of his since his teenage years as a Texas Goldminer. So happy he has his own theater in Branson now. It is always the BEST show in Branson but last year was AWESOME, can’t wait to see this years show. Mother will be celebrating her 95th birthday in Branson this year and has never missed a show. She is a “true” fan! Best show in Branson seen it twice. Very entertaining!!! 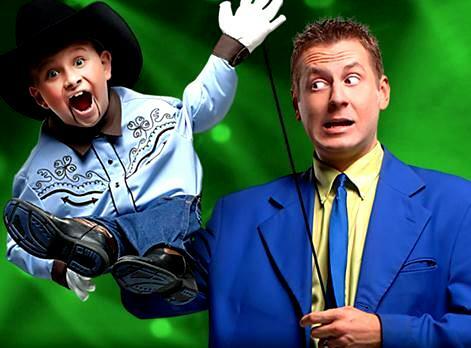 My wife and I love the Clay Cooper show, I have watched a lot of shows in Branson, and Clay’s variety show is the best, variety is what makes this show the best, dancing, singing, jokes, Clay interacts with the audience, everyone in the show are true pro’s, every time we come to Branson we will go to the Clay Cooper show!! We never miss Clay’s show when we are in Branson. It is our favorite by far. We have been going to Branson every year for our vacation for the past 7 years. You can’t go wrong seeing this show with all of the amazing talent. We love it. This is a very high energy show. Great music and comedy. One of Branson’s best shows. A must see. Show was great. So much talent! Bothered by total lack of diversity of performers. White, white white…. just wrong!!! !